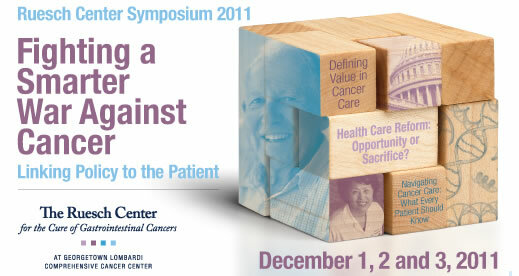 If you live in the Washington, D.C., area and are interested in national health care issues, from health care reform to navigating cancer care: what every patient needs to know, please consider attending the FREE symposium next week at Georgetown Lombardi Comprehensive Cancer Center: “Fighting a Smarter War Against Cancer: Linking Policy to the Patient.” It’s a great lineup, and the speakers are top-notch, from Senators, to Law professors to pharmaceutical companies, researchers, doctors, nurses, and pallative care. Check the schedule, and see if you can attend all or part of this amazing opportunity at Georgetown. And please – spread the word! A week and a half ago, I took YD to visit the graves of her Poppa (OH’s dad) and her godfather K, both of which had passed away in 2000. It had been one of the things on the list of things we had written earlier in the year of things she wanted to do when she came home for the weekends but we hadn’t got round to it until now. I had a little bit of ulterior motive taking her this time, with the progression of the tumours in my liver and no guarantees that the last couple of chemos we have got to try will give us control for much longer, there has been more thought, and talk, about the virtually inevitable outcome to this story. As YD lives away from home in a residential supported living environment to a certain extent she has been shielded from the worst of the chemo side effects and we have been able to keep the whole ‘cancer’ thing a little less scary for her. But this means that she doesnt know , unlike her two older sisters that this is likely to turn terminal at some stage in the future. Anyway, in discussions with L, who is the manager of the houses in the residential service that YD uses, there has been discussion around how much we tell YD and L has suggested we tell YD more. I feel that at the moment when things are so up in the air time-wise, and while I am still fairly active it would just confuse her to talk about me dying when she deals in very concrete concepts and time-frames. We have told her with this latest news that the cancer isn’t going to go away and that I have to change medicines and the new medicine will make me lose my hair again. She was quite blase about the news as to her nothing much has changed then in the last 3 years. Taking her to the visits to Poppa’s grave on Saturday and K’s grave on the Sunday (they are buried in two different cemetaries, in opposite directions from our house) allowed to us to have a talk about death in general. She knows that Poppa and K were buried whereas my parents, who died in 2001 & 2004 were ‘turned into dust’ (cremated). She expressed a wish to be buried herself and asked where she might be buried. She also asked where I would be buried when I die, which helped me make up my mind between burial and cremation for myself, as she expressed a wish to be able to visit my grave when I die. So although YD doesnt know that my death is likely to be sooner than she expects, I feel like we have done some preparatory work around it. After visiting K’s grave on the Sunday we went to a nearby mall that we had not been to for a while. We did some Christmas shopping and surprisingly bumped into people we knew. Usually when we go out it is when YD gets tired that the outing ends. This time we left the mall when my fatigue etc kicked in. YD was very grumpy about leaving and coming home so in the car I reitierated how I feel sick and tired, because she only sees me when I am up to doing stuff with her I dont think she realises just how much my health is compromised. I have warned I might get more sick and tired and that she can’t expect me to take her out all the time. I think that is all the preparation I can do for now. I was just looking at my notes from the Metastatic Breast Cancer Network (MBCN) Conference that I attended last weekend in Baltimore, MD. I was hoping to find something that would lend itself to a coherent, theme-specific post, but instead I find little bits of information, some of them like golden nuggets that I can stash away until MBCN has the conference and power point slides online in about a month. I wil share some of these nuggets, though, these little bits of information that, for whatever reason, struck me at the time as important enough to write down. So here goes a disjointed, fragmented post . . . even though it’s all about metastatic breast cancer (MBC). That’s the thread that holds it all together. One of the speakers talked a little bit about how the Network first was formed because two women, both with MBC, felt isolated and alone in support groups of people with early stage breast cancer. Things like going pink all of October or celebrating the end of treatment “is not possible with metastatic disease.” I know what she means, what the founders meant. I chave totally different conversations with those with early stage breast cancer (BC) than I have with those who have MBC. The ones with MBC seem to intuitively know what I’m going through, what I’m feeling and even thinking. They understand the very real fear of dying, of leaving this earth before I’m ready. They understand the worry I have for my child, my husband, my little family. They know that talking about death doesn’t mean that I’m obsessed with death or that I think I’m going to die soon. They understand that it’s a deep need to understand what will eventually happen to me with this metastatic disease. They understand all of these things because they live with these things themselves. Approximately 30% of people diagnosed with early stage breast cancer will at some time develop metastatic breast cancer, cancer that has spread to organs other than the breast. Breast cancer, if confined to the breast, doesn’t kill. MBC, however, kills. And there’s very little research done on MBC. One of the reasons that we also may become, in Whymommy’s words, cancer rebels and pink protesters, is that we can’t be happy and pink during October. We can’t join the throngs of “survivors” if we’re not going to survive this disease. We know we’re different, that we’re what they fear the most. How can we join in when we’re the black sheep of the breast cancer movement, the bad girls of breast cancer? We can’t. We stand out. People get quiet when we tell them that we have MBC. They don’t, understandably, know what to say, although I think an “I’m sorry” or “I’m sorry to hear that” is always something you can say to people who are struggling not just with breast cancer but with so many other things that happen to people. We are the 30%. I am part of the 10%, the percentage that was diagnosed with Stage 4 disease from the outset. I guess that makes me one of the REALLY bad girls of breast cancer. And it makes me unpopular with some people, with people who only want to see the happy stuff, with people who are uncomfortable with my diagnosis, with people who just can’t face the fact that I won’t be around someday, that barring a miracle or sudden death from something else, this cancer will take me in a horrible way. Trust me, it’s not something I like to think about, but I have to. I have to try to prepare my loved ones that someday I won’t be here, I may be in hospice care, they may watch me die. Believe me, I don’t like that image any more than anyone else does, but the difference is that I can’t pretend that it doesn’t exist, I can’t say, “Oh, you’ll beat it,” because MBC is an equal opportunity killer — it takes fighters, optimists, supplement-takers, vegetarians, the religious, etc., just as much as it takes everyone else. I will die from this. My husband, bless his heart, still says, “I hope not,” even when I try to talk to him about things that are important to me, that I think he’ll need to know about if it gets to the place where he’ll have to raise our son by himself. *sigh* It’s a hard life. Even so, I love my life and I have an amazing God and I hope and pray for treatments to extend my life for a very long time. That, and a good medical team, keep me alive for now . . . .
without saying the actual word. Yes, my friend is dying. She’s a friend I met in May 2011 at Little Pink Houses of Hope first beach retreat week. I don’t know how much of this information her family would want written about publicly, so I won’t name her, but I’ll call her AM. AM is a wonderful person. A true lover of life and lover of people, she became friends with all of us quickly. Her voice and laughter resonate with me even now. I came to love everyone in my Little Pink family that week; AM was certainly no exception. So today I wrote her a letter on behalf of her Little Pink family. My heart hurts. It’s hard to write something like that, even when you don’t, or can’t, bring yourself to say the word “Goodbye.” Even when we know . . . or believe, that she has little time left, we still hold out hope for a miracle for our AM, for we can’t imagine our lives without her in them. I wrote the letter. It’s on behalf of our whole Kure Beach Little Pink family. I was trying to strike the right notes, to tell her how much we love her and miss her without actually saying that dreaded word. Even so, it was a hard letter to write. My heart hurts today for AM. My heart hurts for me. My heart hurts for her husband. My heart hurts for everyone who loves AM. And now I’m going to be bold and ask for donations for this wonderful organization, Little Pink Houses of Hope, in honor of AM. Even a small amount would help, and I’m sure it would warm her husband’s and her family’s hearts when they see that people have donated in honor of their beloved AM. Little Pink has a donation button on their homepage. I plan to do this myself. I know AM and her husband loved the retreat week. I know they made lifetime friends. I just wish for a miracle that AM’s lifetime is extended somehow. I wish for it . . . not just for me, but for her, her family, and her other loved ones. In the meantime, there’s not much I can do . . . .
Saying prayers for you, AM, and hoping for a miracle for you . . .
and for those of us who love you. 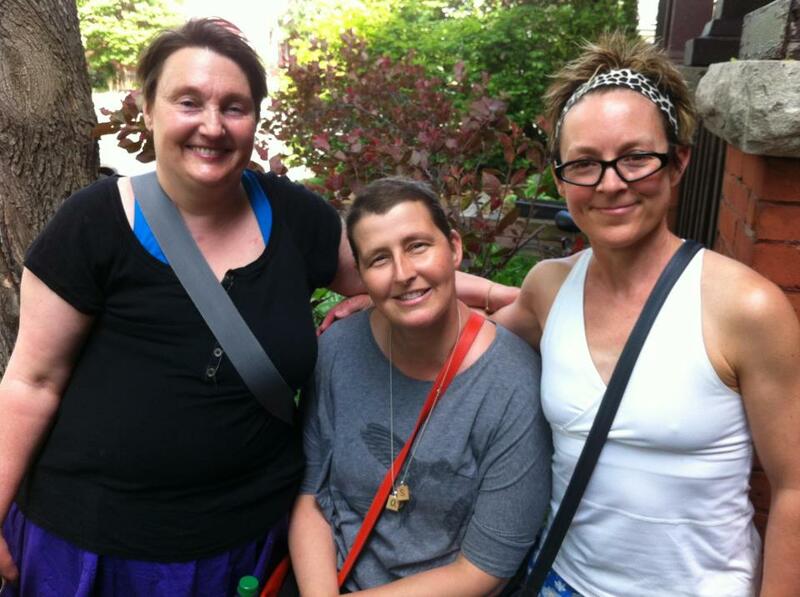 Researchers are surveying people living with metastatic breast cancer about how they make treatment decisions. If this applies to you, please consider taking the survey. Their deadline for the survey is November 11. Thanks so much. You are currently browsing the archives for the Living with metastasis category.